Looking to book a Newborn Photoshoot? Go Create! Photography now offers newborn photo shoots available from birth to around 2 weeks old. Capturing the first days following the birth of a new baby is something every parent is determined to do. These precious moments are memories that once they are gone, they’re gone. Go Create! 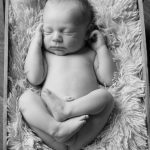 baby photography offers you the chance to capture the first 3-14 days in a unique and bespoke way. Our professional photographer Penny has years of experience with babies and young children and specific training in the art of posing new born babies. We will create beautiful images of your little one that you can keep forever. If you are expecting a new baby in the coming weeks and months and looking for a newborn photographer to take photos of your new baby now is the time to contact us. The ideal time for newborn photography is within 3 days after birth. At this age, the baby usually sleeps a lot which makes it much easier to get baby into those cute poses. Our studio is located in Little Hoole which is around 7 miles from Preston city center. Full editing to remove milk spots etc on a small selection of the best photos. We don’t print images. However, these can be added after the photoshoot is you wish. For the price of just £145.00, You will receive a 2-3 hour photo shoot of your newborn baby. You will be allowed all the time you need to comfort and settle baby. The room is always kept lovely and warm and your baby is our utmost priority at all times. We will provide all props and work with both you and baby until we are satisfied we have the images we want. If you have previously spoken to us, please click here to Pay Now via PayPal. Within about 5 days after the photo shoot, you will receive an email from us with a link to download the fully edited from our website as a .zip file. You will also get a link to our Dropbox from which you can download, share and view all the photos taken on the day. There is no charge for this service and the photos will not be watermarked. They are yours to do whatever you wish with. Please not, due to space please back up your photos to a secure location as soon as possible. We often professionally edit a small selection of the best photos (free of charge). Usually, this will be around upto 10 images. We can digitally alter the skin tone, remove blemishes, milk spots and saliva. You get all of the photos including a selection of the best ones fully edited sent to your email often within 5 days. There are zero hidden extras. The price you see is the price you pay. Generally speaking, we only do one newborn baby photo shoot per week, often on a Monday. although days do vary. Because we provide such high-quality photos at such a low price and because Penny (our baby photographer) is so good with children we do get booked up well in advance. Please don’t leave it until it’s too late. Contact us today on 01772 616898 or send us an email penny@gocreate-preston.co.uk with your due date. Once you have contacted us and we have agreed to do your newborn baby photography you can make payment using the link below. The link above is a PayPal link which is for the payment of a newborn photoshoot at Go Create! If you are unable to make payment by PayPal please contact us for our BACS details. Alternatively, you are welcome to call into our studio to make payment by card or cash. 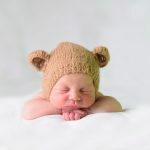 Here are just a small selection of the newborn baby photos that were taken at our studio. Please contact us on 01772 616898 once you know your due date to discuss. Payment can be made using the above link after you have contacted us. Just a Small Selection of recent Newborn Photoshoot at Go Create!